Review: Lycan Unleashed by Tiffany Allee – Escape Reality, Read Fiction! 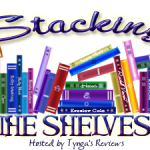 Now that we’re three books into the Otherworlder Enforcement Agency, the “world” it operates in is already established. This is excellent, as this series is made up of novellas rather than full-length novels, and each one ends up being just a bit short. Prior background is good. The heroine of Lycan Unleashed is Astrid Holmes, and she’s someone we’ve met before. Astrid is the “sensitive” who’s been called on in previous cases. Astrid can, well, “sense” what type of paranormal committed a crime, and what kind of energy surrounds a crime scene. She’s usually an office worker, because her sense is acute. She senses paranormal energy all the time. From every paranormal or Otherworlder (OW) around her. Every aura they exude. For example, vamps smell like old cigarettes and are surrounded by a miasma of fear. The scene where Astrid describes what it’s like to be her is truly awesome. But speaking of aromas, lycans smell like the forest. Mason Sanderson particularly. Astrid thought that they might have the possibility of a relationship, but one kiss, one year ago, and after that, he can’t seem to stand to be in the same room with her. Not even when they have to work together on a case for the OWEA. Still, when Astrid’s current case goes totally pear-shaped, she has nowhere else to turn. Her vampire partner Claude is away for one of his mysterious disappearances. A vampire is killed in a particularly nasty way (even for vamps) just to send a message to the Magister of the City. And then a critical piece of evidence goes missing while she is handling it. Astrid is taken off the case and put on administrative leave. Of course she is. Cops do what cops do, even when they’re otherworlder cops. To save her badge, and to redeem her name, Astrid needs to stay on the case. For that, she goes to Mason. And once they are back in each other’s close orbit again, she discovers that his regret over their one kiss last year wasn’t because he was sorry that he kissed her. It was because he was sorry that he didn’t think it was a good idea to keep right on kissing her, and a whole lot more. Forever. It’s just too bad that they’re trying to resolve their misunderstanding while people, and others, are trying to kill them. Verdict: I like the world that Allee has created in this series. The more of it I learn, the more I want to know. In general, the books are too short. In specific, this one was definitely too short. Both Mason and Astrid are not on speaking terms with their birth families. Clearly, something terrible happened in both their pasts that is messing with their heads. It’s a factor in why Mason pushed Astrid away the previous year. But we don’t find out nearly enough details about what the heck happened with either of their families. We get some info, but it’s not enough. The lack of closure or healing left me feeling a bit shortchanged regarding the love story. On the one hand, it wasn’t insta-love. On the other hand, I wasn’t quite sure why Mason finally gave in to his emotions. He didn’t really resolve any of his issues. He just stopped resisting. There’s a lot in this story that’s about family. The crime that’s being investigated is a family crime. For those details, you need to read the story. I enjoyed this particular “File” from the Otherworlder Enforcement Agency, but it didn’t quite live up to the previous entries. 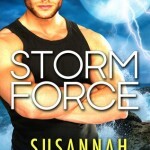 Banshee Charmer (review here) did a better job with the cop shop aspects of the story and Succubus Lost (review at Reading Reality) hit the high points of the romance higher. 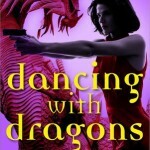 But the series as a whole is pure paranormal romance/urban fantasy fun and I’m looking forward to the next installment. And Astrid’s partner Claude definitely needs his own story. Where does that vamp keep disappearing to? 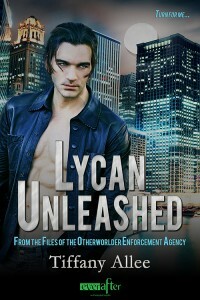 I give Lycan Unleashed by Tiffany Allee 3 and 1/2 wolfish stars. I like this series so I think I’ll give it a go. Psh, I was promised a cat pushing around an lycan. I did not get nearly enough cat vs lycan showdowns. I have got to read this book it sounds amazing .Thank you for sharing with us . I’ve read the first book, and am not sure I want to read more. Some things I really did not like in that book, but also some original things I did like.